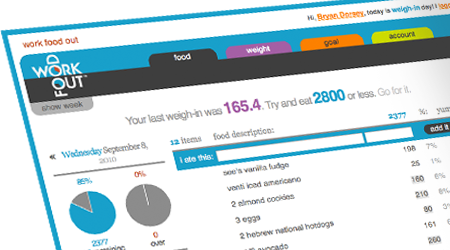 Use work food out to keep track of what you eat, and how your food affects your weight. 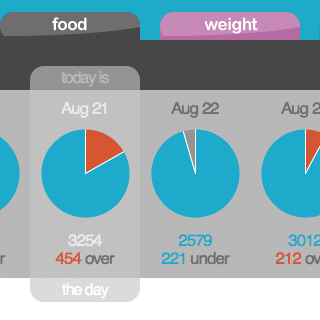 The food tab helps to visualize how much we really eat and the weight tab (with feed*back) helps us set good goals. 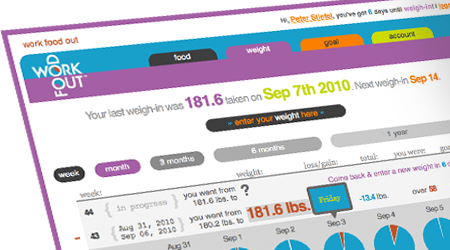 Sign-up for free. 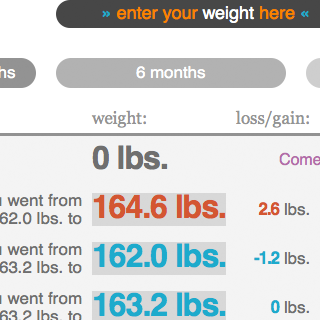 Log as much as you like, eat like you normally do and fine tune your eating habits over time. Excuse me, I just ate something and I don't want to forget it. It's me: , my password is: . Forgot? 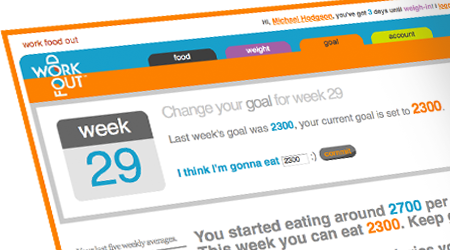 Work Food Out teaches us how to slowly eat less & less by reminding us how often we over-eat (which is a lot).